1.1 What is mean by Video calling? In ongoing technology, People have started using 3G and 4G Network for their communication with each other through voice calls and Messaging. Recently in India, Reliance company has begun giving free 4G internet and calls with no cost and extended up to March 2017. So, Almost everyone has started buying 4G handsets and surfing the web. With the 4G technology, We also can communicate through video chat (face-to-face) using the smartphone camera. Probably many of them confused to choose the right worthy application. 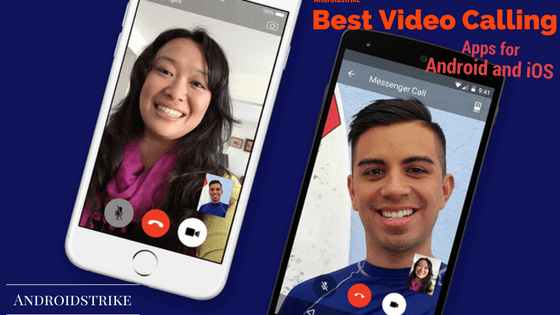 So, Here I have listed Top 5 best video calling app for Android and iOS. What is mean by Video calling? Video calling is the most peculiar way to contact a person and lets you see his video on your smartphone. To enable Video calling option on your Android or iOS device, You need 3G, 4G or WIFI Network with front facing the camera. To make a free call, You are recommended to install the apps from the store which available for free. Here are some of the top video calling apps. We already Know that Skype is the most convenient and popular app for all platforms even available for iOS. Later, Facebook integrated with Skype service to provide the people video calling feature on messenger. You can make free calls to everyone everywhere, and others should have Skype app installed on it. The big advantage is that you can even make voice calls to landlines and mobile calls with credits at the cheap cost. Also, You can change the way to communicate using front and rear facing camera free and no charge. Supports 3G Network and WIFI. 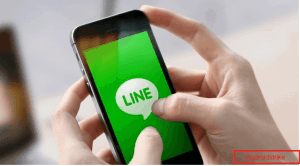 Line Messenger is the another top most popular app going on a rated day by day and 380+ million download with supporting all mobile platforms like Android, iOS, Blackberry, etc. With the updated version of Line Messenger, The app started supporting Video calls and enables you to call face to face communication using the smartphone camera. You can switch calls from voice to video anytime until the call ends. Shake the phone to send your ID or QR code to your friend. Hangouts is the Google’s official app for Messages and Calls, and it is pre-installed with the Android OS. You would get noticed when buying a new smartphone. 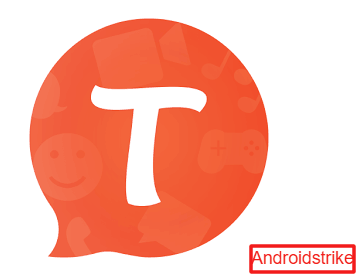 In the year 1991, The app named as Google talk (Supports only Windows) and going on research slowly they turned the app into All-in-one messaging system with free voice calls and Group meeting through Hangouts Air. Tango is the top video calling app available for all platforms like Android, iOS, and Windows Phone. It obtains quick attention and spread over the worldwide in less time. If we go on the review side, Every user has very much satisfied through installing Tango mobile application. The app got awarded three times in the year 2013 and 14. Tango doesn’t need any sign in the process; we can directly contact anyone by inviting them or random video chat option included (worldwide). The app mainly focused on Social media and we can challenge our friends. You can send messages and can place a call simultaneously. Unlike other apps and start a new life with Whatsapp. It is the app with 5,000,000,000 downloads. Each and every phone has WhatsApp installed on it and rolling out for users with brand new updates. 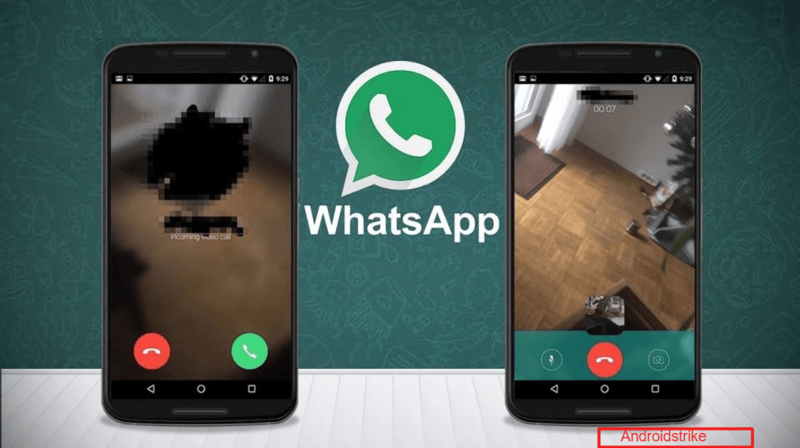 Recently, Whatsapp has introduced Video calling feature, and everyone started using it. Whatsapp played a vital role in everyday life. Because the app hypnotizes the user with free fresh voice calls engagement and best User Interface. These are the top apps which are famous from past two years. I have collected and tested each and every app to make you happy free video calling with everyone using your smartphone. My opinion from the above apps are Hangouts and Whatsapp messenger. What about yours? Tell me through comments in the section below. I hope you liked this article. So, feel free to share with your friends and inform them to choose from these video calling apps. Very informative, well-done article. I love the list format- I learned so much! Thanks for sharing. Skype is what I’m used to/FaceTime but I want to try out google hang outs. Great article thanks for the info ? Is there a reason all buttons say Download Video calling Apps? It was an interesting read. Thanks for sharing. Hey, additionally, you can also add apps like R-HUB HD video conferencing servers in the above list. It provides 30 way HD video calling. Thanks, mate. Added to my list. I will update the post soon.